Welcome to Dublin! Upon arrival, you will go through customs and immigration. Should you opt to purchase a transfer to your hotel; a representative will be waiting for you as you exit immigration. Arrive at your hotel, check in and do not give in to jet lag! There is so much for you to see and do! Begin the afternoon with a traditional lunch of Irish stew and soda bread or shepherd's pie in any of the quaint pubs to be found throughout Dublin. Afterwards, we recommend that you get acquainted with the city by choosing an optional tour such as 'City Sightseeing Dublin Hop-on Hop-off Tour', showcasing Trinity College, The Guinness Storehouse, Dublin Castle, St. Patricks Cathedral, The Phoenix Park and the Old Jameson Distillery or 'Dublin Liffey River Cruise'. Additionally, no trip to Dublin would be complete without a visit to the number one visitor attraction in Dublin - The Guinness Storehouse. We suggest you take advantage of our optional tour 'Skip the Line: Guinness Storehouse Entrance Ticket' in order to fully appreciate your time here. 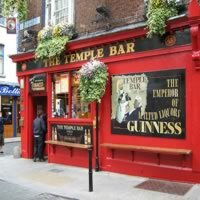 This evening, spend time exploring the cobbled streets, cafés and shops of Temple Bar, Dublin's bohemian quarter. This area on the south bank of the Liffey is full of restaurants and bars with plenty of music and entertainment on hand! Perhaps join in the fun of a literary pub crawl. Wake up early and head to Trinity College, the oldest seat of Irish learning and home to Ireland's greatest art treasure, the Book of Kells, one of the world's most famous illuminated manuscripts. From here, stroll south along Grafton Street, Dublin's busiest shopping street, taking in a few shops and entertaining buskers before coming to St. Stephen's Green; at the northeast corner of the park you'll find many of the city's cultural institutions. Surrounding Leinster House, you will find the National Museum of Ireland - Archaelogy, with artifacts and exhibits from prehistoric times, the National Gallery of Ireland (don't miss the Irish collection and the Caravaggio 'Taking of Christ'), the National Library and the Natural History Museum. Afterwards, proceed east to Merrion Square, one of Dublin's most famous Georgian landmarks. This afternoon, stop for lunch before continuing west to St. Patrick's Cathedral. 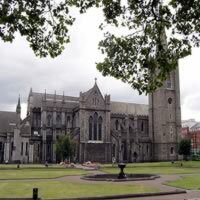 To the north, see a living history of Dublin at medieval Dublinia, across the street from ancient Christ Church Cathedral, whose underground crypt is Dublin's oldest structure. 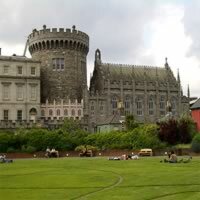 Return via Dublin Castle, residence of British power in Ireland for nearly 800 years, and home to the Chester Beatty Library, with its prized Chinese and Turkish treasures. After a busy day of sightseeing, relax over tea at Bewley's and catch a musical performance at the Olympia Theatre or a play at the Abbey Theatre. Dedicate your third day to the areas north and west. Visit the Royal Hospital Kilmainham, which houses the Irish Museum of Modern Art and Kilmainham Gaol, where the leaders of the Easter Uprising were executed following their capture. 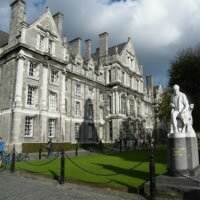 Then head north, across the Liffey to the National Museum of Ireland and Four Courts, James Gandon's Georgian masterpiece and the home of the Irish judiciary. This afternoon, enjoy lunch and a leisurely stroll along Henry, Moore and Mary streets, the North side's pedestrian shopping area on your way to the Dublin Writers Museum and the Dublin City Gallery, the Hugh Lane. 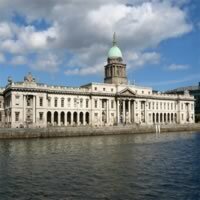 Afterwards, head back to the Liffey via O'Connell Street, the city's widest thoroughfare, stopping to visit the General Post Office before taking a quayside walk by Dublin's most imposing structure, the Custom House. 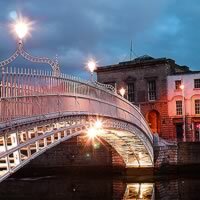 Later, cross the Liffey via O'Connell Bridge and splurge on a fabulous dinner at the glamorous Tea Room in Temple Bar's Clarence hotel or feast on a final farewell dinner at your 'local' (aka your favorite neighborhood pub). 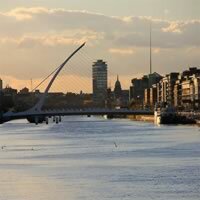 Should you be able to spend additional days in Dublin then explore the northern suburbs of Dublin, from Glasnevin Cemetery and the National Botanic Gardens across to the Marino Casino, picturesque Malahide Castle, Newbridge House and the quaint fishing village of Howth. Or travel south to visit Dún Laoghaire and the National Maritime Museum of Ireland as well as the James Joyce Tower and Museum. Day trips from Dublin are a great way to see this lush country. 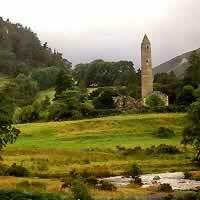 Always popular is 'Wild Wicklow Tour Including Glendalough from Dublin' where you will visit the Garden of Ireland and enjoy some of the most beautiful countryside Ireland has to offer. 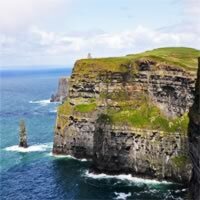 Or perhaps the 'Ring of Kerry Rail Trip from Dublin' or 'Cliffs of Moher Day Trip from Dublin' is more to your liking. Finally, we recommend the 'Blarney Castle and Cork Day Trip from Dublin' where you will have a chance to kiss the famous stone. Whatever your interests, be sure to check out our optional sightseeing tours for availability and prices.